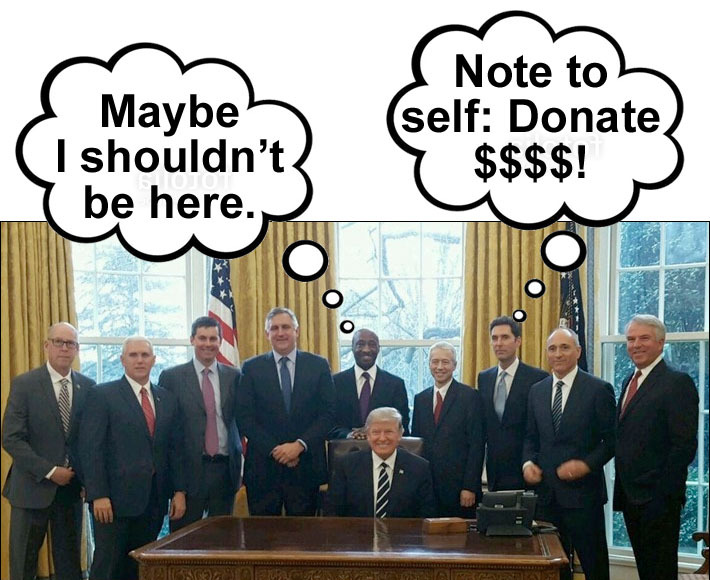 Pharma Donated More Money to Politicians! [From khn.org] “The cost of medicine in this country is outrageous,” President Donald Trump said at a rally in Louisville, Ky., two months after his inauguration. He went on about how identical pills have vastly lower price tags in Europe (read “Trump’s Comments Are Big Pharma’s Nightmare”). [From www.prnewswire.com] The Medical Science Liaison Society (MSL Society), the only 501(c)(3) non-profit organization exclusively dedicated to advancing the global medical science liaison (MSL) profession, has released the results of a first-of-its-kind global survey among MSL and Medical Affairs professionals regarding the most common term used to describe the physicians and other health care providers, whose opinions are highly regarded, and who influence other physicians. The survey included 473 respondents from 54 countries and consisted of Executive Management/VP’s of Medical Affairs, Manager/Director of MSLs, Medical Science Liaisons, Medical Advisors, and MSL trainers. Respondents also identified their company type as either Large pharma, Medium pharma, Small pharma, Biotechnology, Contract MSL Organization, CRO, Diagnostic Company, or Medical Device. A key finding from the survey is that 60 percent of respondents from pharmaceutical companies reported that their company uses the term Key Opinion Leader (KOL). LOL! 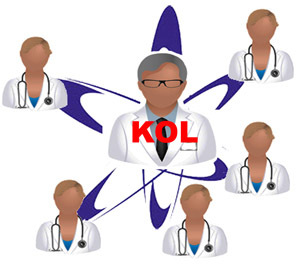 Ask a carpenter what his/her most often used tool is and you are likely to hear “hammer.” So should we be surprised that 62% of Medical Affairs pharma people respond that their companies use the term KOL? [From www.statnews.com] The biotech company, based in South Plainfield, N.J., is trying [and failed] to convince the FDA to approve the drug, known as Translarna, to treat a type of Duchenne muscular dystrophy caused by a so-called nonsense mutation. But on Tuesday, Translarna was rather robustly savaged in an FDA clinical review posted to the agency’s web site. “Ultimately, no positive results from any prospectively planned analyses that are persuasive have been provided with this application,” the FDA review states. Sarepta Therapeutics (SRPT) famously managed to win FDA approval for its DMD drug Exondys 51 over the strenuous objections of FDA review staff. The company received a big boost from the intense lobbying of DMD patients and their families, many of whom packed an advisory panel and offered emotional testimony urging approval (read “FDA Succumbs to Industry-Sponsored Patient Power & Accelerates Approval of Sarepta’s Duchenne Drug“). Previous articleDoes This Email Message from KVK Tech Violate FDA Regulations?